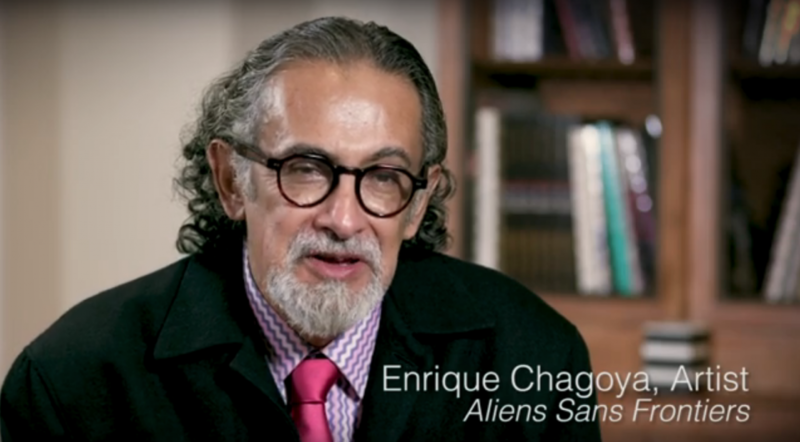 Enrique Chagoya was recently interviewed for the National Portrait Gallery to discuss his 2016 lithograph Aliens Sans Frontières. This work is included in NPG's current exhibition Eye to I: Self Portraits from 1900 to Today, on view through August 18th! Click here to watch the inverview in full!